THE story of a boy who never grows up will be depicted at St John the Baptist School next week, when its students are staging a classic JM Barrie play. Girls and boys from every year will be taking part in Peter Pan – who can fly and spends his perpetual childhood having adventures on the mythical island of Neverland. The leader of a band of Lost Boys interacts with fairies, pirates, mermaids, Native Americans – and ordinary children from the world outside. 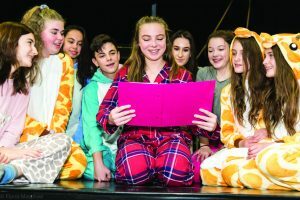 Lucy McConnell, head of performing arts at the school in Old Woking, said: “We are bringing the magic of Neverland to Woking and have been working solidly since September to prepare our play, which has live music and visual props.